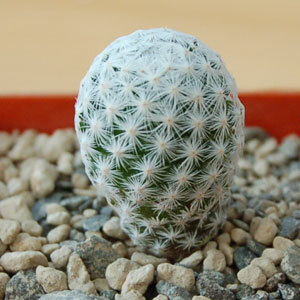 Mammillaria is a very large cactus group. They are small to medium sized plants with roundish to columnar shapes. 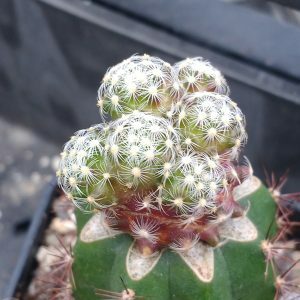 The genus Mammillaria consists of over 200 species native to Mexico mainly but they are also found in the north west of Texas to California, Cuba, Haiti, The Bahamas and Columbia. Mammillaria species vary in their needs. 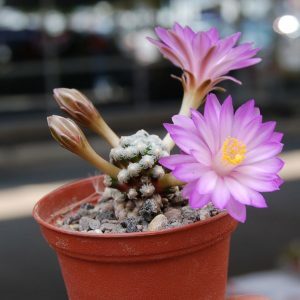 I plant most of my Mammillarias in a regular cactus soil with good drainage. I keep them completely dry in winter at temperatures around 10°C. Propagation is usually done through seeds or by taking cuttings.